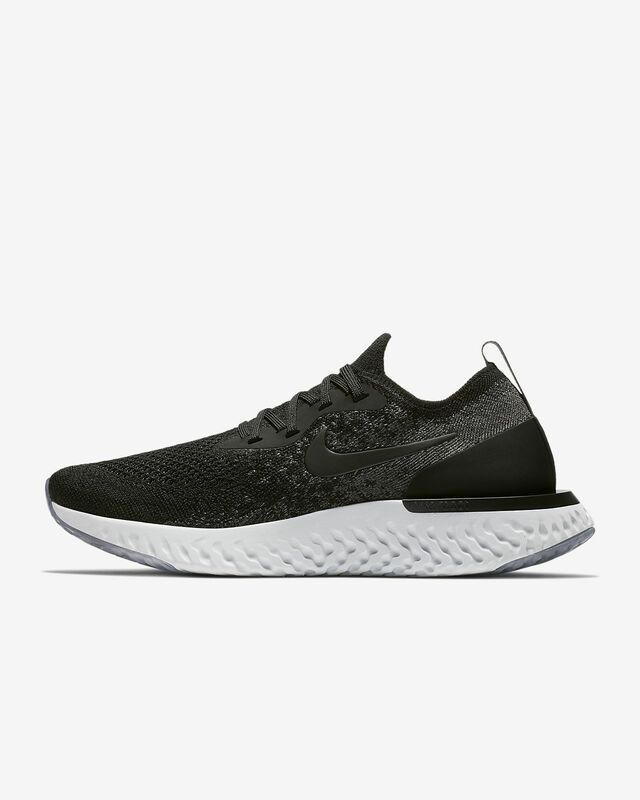 The Nike Epic React Flyknit 1 provides crazy comfort that lasts as long as you can run. Its Nike React foam cushioning is responsive yet lightweight, durable yet soft. This attraction of opposites creates a sensation that not only enhances the feeling of moving forward, but makes running feel fun, too. Flyknit material conforms to the shape of your foot, creating a snug, hug-like feel that fits true to size. If you prefer a slightly looser fit, we recommend ordering a ½ size up.